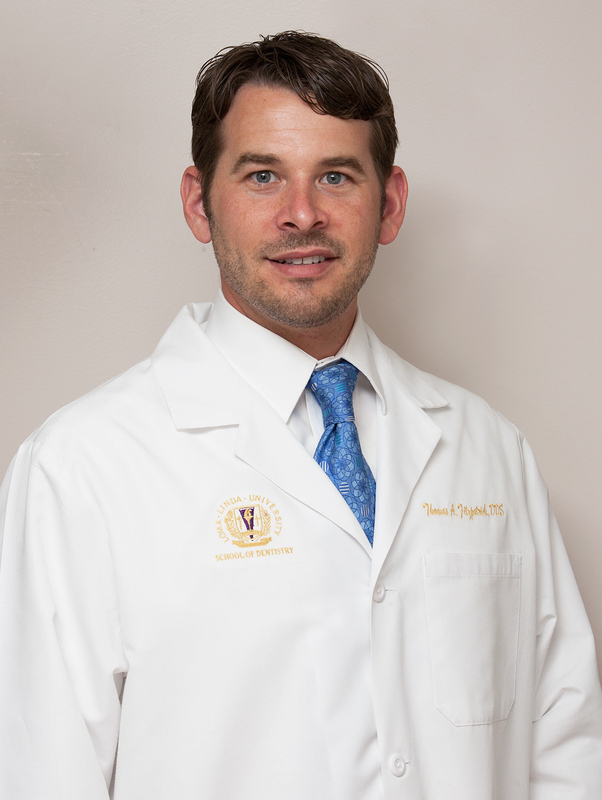 Dr. Thomas Fitzpatrick is a 2001 graduate of Point Loma Nazarene University where he majored in biology. He went on to receive his Doctorate of Dental Surgery (DDS) degree from Loma Linda University 2006. After graduating from dental school, Dr. Fitzpatrick joined two established dental practices in the San Diego area, one in Point Loma and the other in Del Mar. He continually strives to provide the highest quality of dentistry in a caring environment. When not working with patients, Dr. Fitzpatrick dedicates numerous hours to his community and in service around the world. Dr. Fitzpatrick is a member of the American Dental Association (ADA), California Dental Association (CDA), San Diego County Dental Society (SDCDS) and the Academy of General Dentistry (AGD). He is also a Fellow in the Academy of Dentistry International. Dr. Fitzpatrick serves on the Board of Directors of the Fermanian Business and Economic Institute, Foundation for Worldwide Health, Peninsula YMCA and Optimist Club of Point Loma. Dr. Fitzpatrick received recognition from San Diego Magazine as one of the Top Dentists in San Diego in 2011 and 2012. He was also recently recognized as a Fellow in the Academy of Dentistry International, a prestigious organization known for identifying distinguished dentists who exemplify the altruistic philosophy of the Academy and are involved in a variety of professional and philanthropic activities. Dr. Fitzpatrick has had a passion to provide dental care for the less fortunate in Sri Lanka and in Mexico and has been dedicated to developing a self-sustainable model for providing care in Nicaragua through dental training and economic development in smaller, remote communities that don’t have regular access to care.